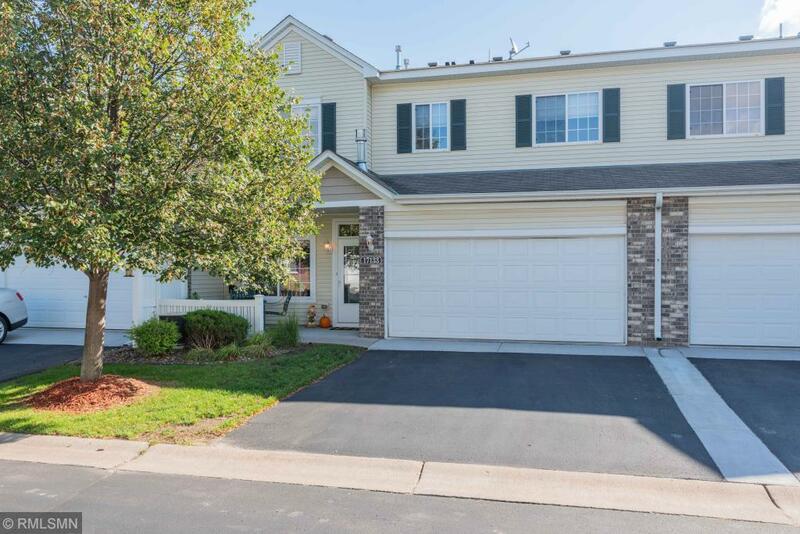 17133 Nixon Street NW, Elk River, MN.| MLS# 5008363 | Casey Zimmerman | Greater Midwest Realty | 763-753-3593 | Your Premier Real Estate Company for Handling North Metro and the Surrounding Areas Minnesota Homes for Sale. This two bed two bath town home features an open floor plan with a large living room on the main level with a beautiful gas burning fireplace, Spacious kitchen with a breakfast bar. The upper level has a loft area and Large master suite with a walk in closet and walk through master bath. Large two car garage with new door and apron. Beautiful park and pond with fountain across the street. This is a very clean and fresh move in ready home waiting for your family.